To this day, I am beyond grateful that I had the opportunity to attend CU and participate in crazy amounts of activities, clubs, teams and just plain FUN during my years there. Secondly, (and I wholeheartedly believe this) your college experience is what you make it...Both A and I hit the campus running...we actively pursued opportunities...whether it was clubs, ministry teams, job opportunities...whether it was friend groups, intramural sports, or outside campus endeavors...we had to have the gumption to try All.The.Things! ummmm....well....let's just say God had better plans! It feels like, in our community, that once you hit highschool people start asking you "what are you going to be? what will you major in, in college?" and for a 14 or 15 year old, this is intimidating and incredibly pressure filled...heck, it causes anxiety in SENIORS for heaven's sake...not to mention parents who are just trying to navigate the high school waters and helping to save for the future of college...we don't have it all together just yet!!! Our Alma mater has a program called CU Friday where they welcome underclassmen to explore the college, to hear from current students, current staff and alumni...to walk the campus like a regular campus tour, but OUR FAVORITE part, was the student fair where ALL the departments in which you could major were set up at tables for you to come explore. We walked the floor and asked them specifically, "Okay, if I pursued this major, what happens at the end of 4 years?" "What specific job would I apply for?" The parts of the trip that had nothing to do with actual "college visit" are what made the icing on the cake for me! Perry and I met at the ville and I can honestly tell you I have no recollection of the meeting...or how it all got started...I think when you get to college though, and you are pursuing like-minded people, they are easier to find and being in that close-knit environment, relationships form quickly. 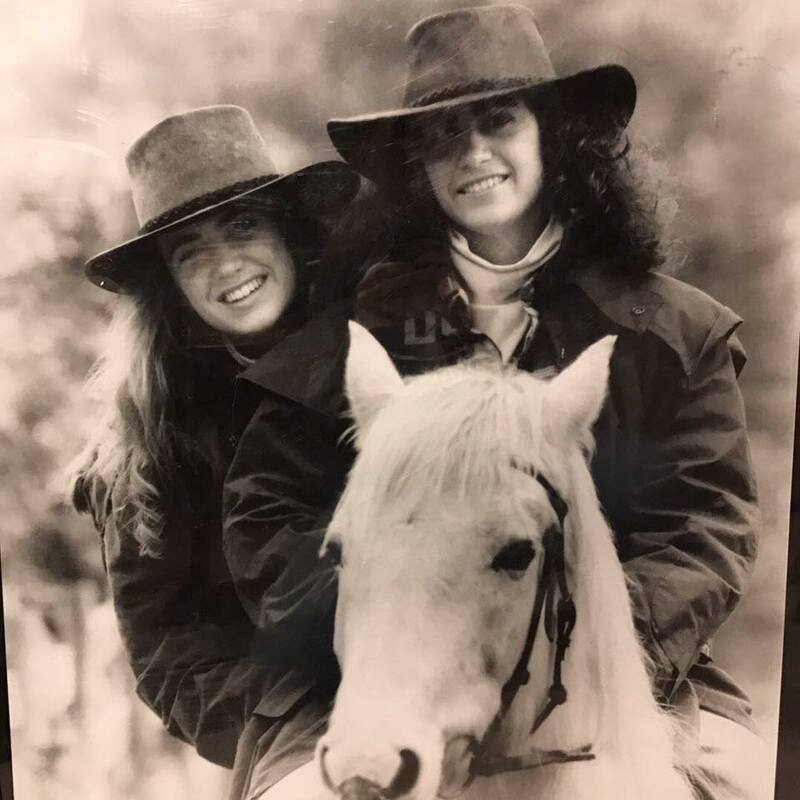 She was a year ahead of me and had her own established group of friends...and yet, she & I became so, so close..We even traveled to Australia together on a mission trip where that bond grew even deeper. We lamented over "boys" and family dynamics, future careers and even debated theology. I'm so very grateful and my hope/prayer for all of my girls is that they'll have similar experiences...with not only academics, but friendships, adventures and mentoring that will last a lifetime, no matter where they choose to attend university!